How Far is Dugad Group Panache Residences? Planning the perfect city calls for the finest minds in architecture, infrastructure planning, engineering and design. 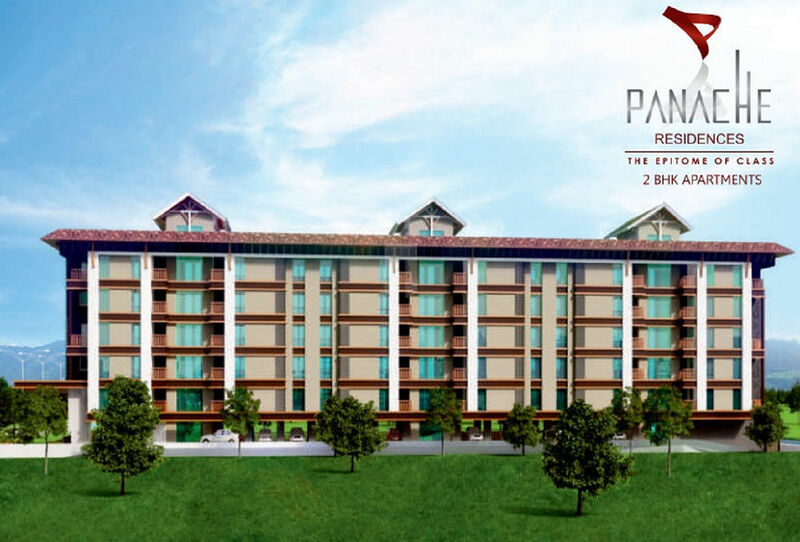 ?Dugad Group Panache Residences? brought to you by the DUGAD GROUP has brought together some of the best minds who know what it takes to make your dream home. Their enterprise inspires aesthetically beautiful designs and functionally complete implementations. This team will provide you a feeling of assured confidence of knowing that you are getting just the home that you desire. Master Bedroom: Weather resistant engineered hardwood flooring. Common Bedroom and Kitchen Area: Vitrified. Living & Dining: Italian marble. Bathroom: Combination of italian and designer tiles with granite door frames. Terrace: Anti Skid ceramic tiles wooden finish. Kitchen Wet Area: Anti skid tiles. Common Area: Matt finish vitrified. Kitchen Platform: Black granite with dado tiles. Granite cooking platform with service platform and stainless steel sink. Glass enclosure panel for shower area in bathroom. Provision for split ac in bedrooms and living. Aqua / Water purifying system. Veneer finished doors for bedrooms. Keyless locking on main doors.